We don’t plan for them, we don’t want them, but we collect them anyway and we wear them around with us wherever we go. They act as little reminders of unpleasant experiences we endured throughout our lifetimes. Laying by the pool last Monday, I was taking some inventory of my own. Second grade, playing cowboys and indians on a Saturday morning. My friend brought his English sheep dog, Michelob. I was afraid, but acted cool and reached to pet him. He chomped my face. 12 stitches. Eighth grade, football practice, running the bleachers at Vestal High School. Foot missed the step, shin was wrenched on the edge. As the blood trickled down, I fought so hard to hide the pain. I remember clenching my teeth, and continuing on with a limp. High school. I let my girlfriend drive my VW. She flipped it. We hit a tree, upside down. We were cut out of the car by EMT’s and I woke up in the hospital. I remember none of the ordeal, but I have a tiny “L-shaped” scar on the back of my finger. Guess I was lucky? Age 22, working at the Grand Union deli. End of a double shift and ready to go home. Lady shows up and wants genoa salami. Last customer. I have to open a new one and peel back that greasy white wrapper. I use a big knife, lazily. It slips off the salami and strikes me on my left hand near the knuckle. I can actually “see” my knuckle. Bad way to end a 16-hour shift. Playing softball in Cape Cod Windmill Tournament. Cinder infields. Tommy plays in shorts. Hard slide into second base . . . SAFE! Worst raspberry ever. Next batter, base hit, I round third, head for home, I have to slide again . . . SAFE! A raspberry on top of a raspberry. I was picking pebbles out of my leg for weeks. It hurt – but that’s my favorite scar! My only surgery. Had a bone spur removed from big toe knuckle. Too much softball. I remember laying on the operating table counting down from 100. I think I made it to 97. When I woke up I guess I had been cracking jokes the whole time I was out. I remember how comfortable I felt when I awoke. Until (of course) the drugs wore off. In addition to the “physical” scars we wear, we also carry the mental scars which many times can be more difficult to cope with. The scars of abuse, the scars of betrayal, scars of embarrassment, scars of failure, scars of discomfort. The first girl I called (Maryann / 5th grade) to go on a date. She asked her mother, got back on the phone, and told me, “I don’t think so.” Scarred. The time I wasn’t invited to a high school party because I was new in town and had long hair. Seriously? Got drunk and acted like an idiot over a girl (high school). Humiliating. Fired (in front of my friends) for being late too many times. Whoops. My successful business closed down. Ouch. My next business was a mistake. Double Ouch. My next business wasn’t as profitable. Awe. Friends abandoned me for leaving that business. Oh well. We live our lives and make choices every day. We have mishaps and we have accidents. We survive mistakes and embarrassments. Our scars don’t define us. They represent triumph; victory against adversity. What does define us is our willingness to risk another one. Because, as long as we’re living, there will be another one. In the end, we get to share our stories, both good and bad. The success stories are best, but guess what? The bad ones are more fun to tell. Our most horrific struggles, over time, become nothing but survival stories. And everybody loves a good survival story. I can’t wait to hear about your next thriller! I’m working on one right now. 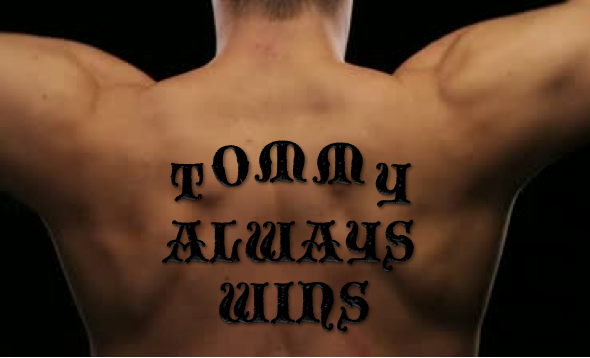 Love this one, Tommy! Its so true! You did it again, I am moved and inspired!